Contracts for construction of 24 new homes have been signed for the Communities of Morne Jaune and Riviere Cyrique as part of Dominica’s build back better initiative. 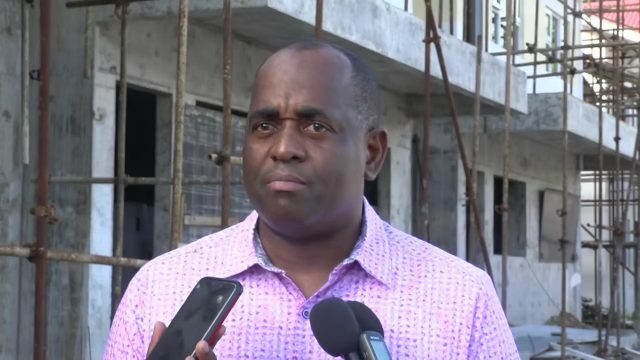 Prime Minister Skerrit has already outlined the Government’s plan to construct 5,000 homes in Dominica post Hurricane Maria. The signing ceremony took place on Tuesday afternoon at Morne Jaune and according to the prime minister other unit will be built around the country. The Prime Minister says that as the minister for housing, he has a list of 43 people between Morne Jaune and Riviere Cyrique who need homes but government will start with 24. The government of Dominica has over the last several months constructed new homes for persons who were severely affected by Hurricane Maria; some of which will be apartment style buildings that are able to withstand any category five storm. The Prime Minister also says that a number of houses will be built in the South East of Dominica.